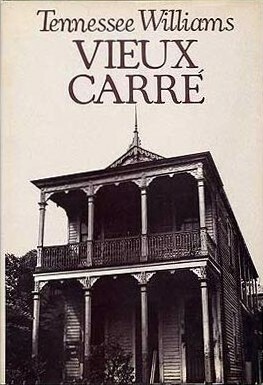 Atlantis Quartet will make our debut at Vieux Carré in St. Paul tonight at 8:30pm. It’s been a busy summer for Atlantis playing the Twin Cities Jazzfest, the Iowa City Jazzfest and winning one of the 2015 McKnight Fellowships but we’re excited to be back in that space and we’re looking forward to seeing some old/new faces. Please join us. 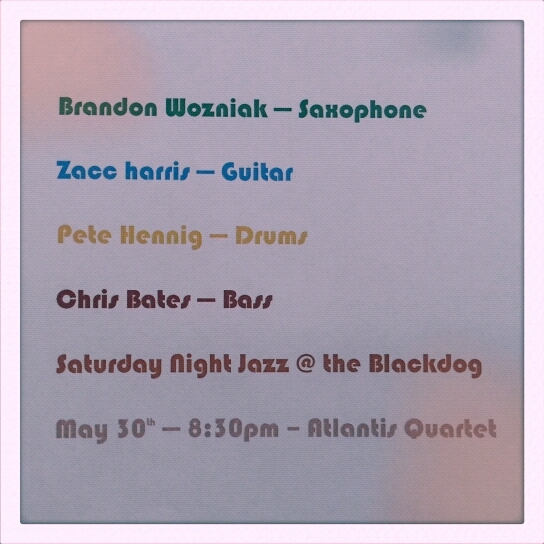 I play in a band called the Atlantis Quartet. We’ve been together for about 8 or 9 years. We are one of four proud recipients of the 2015-2016 McKnight Artist Fellowships for Performing Musicians award administered by MacPhail Center for Music. This money will help us make more music and buy great reviews in Downbeat. Just kidding, we would never do that and in all seriousness, MANY THANKS TO THE MCKNIGHT FOUNDATION!! We also have a gig this Saturday, view the pic for details. I play in another band I’M VERY EXCITED ABOUT called VECTOR FAMILIES, formerly known as PBR Street Gang w/Dave King, Dean Granros & Anthony Cox. We had to change our name because some DJs in the UK already have it and they appear to be way more famous than we are. 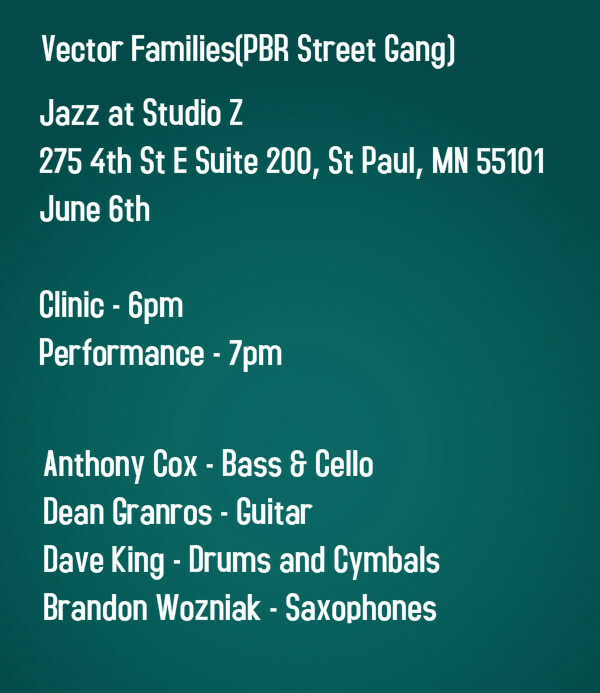 We’re playing the Jazz at Studio Z Series curated by Zacc Harris on June 6th. PBR Street Gang is listed on the Studio Z website but this will be our last show under that name and from hear on out it will be Vector Families for life. We made a record a couple months ago we think people will like which will be out at some point in the near future. We also had a great performance at Lawrence University a couple weeks ago so thanks again to the students for their enthusiasm and always awesome hospitality. Here’s a review from the show, apparently my playing is “disorienting” “played similarly to a bebop saxophonist, but harmonically, he was out there.” “often disorienting and spiraled in and out of control, but at some points it was much more lyrical and subdued, providing an unexpected but alluring contrast” There you have it. I’ve got a couple performances coming up that I’d like to share with my HUGE fan base. Drummer/Composer Lars Larson has a band named Mancrush which I play in along with Bryan Nichols on keyboard/piano and Zacc Harris on guitar. There is no bass player in this band so Bryan has to work twice as hard for the same money. Thanks Bryan! 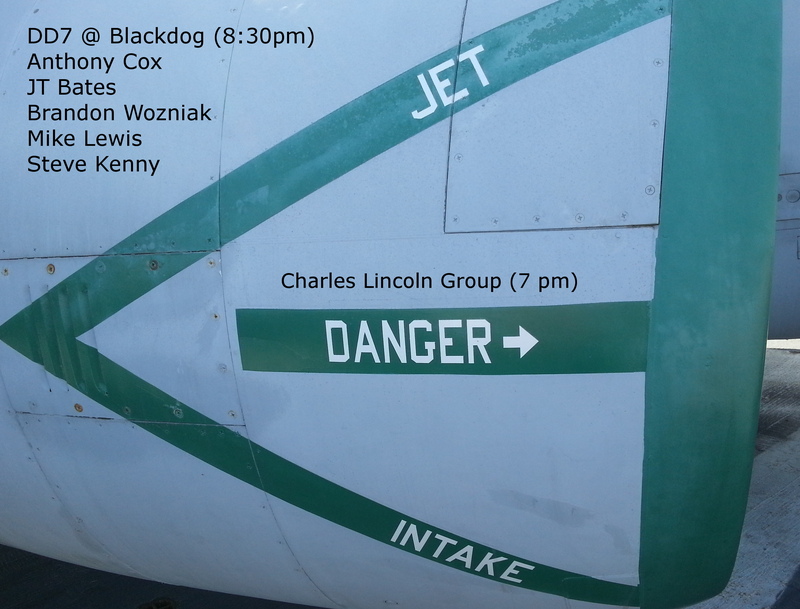 We’re excited to play Saturday Night Jazz @ the Blackdog curated by Steve Kenny. On Monday April 27th I’ll be playing with a newish trio consisting of my good buddies Bryan Nichols on Keyboard and JT Bates on drums. Once again there’s no bass player in this trio but I’ve noticed a lot of bass players coming out to support these groups. Weird 😉 All kidding aside, this is one of my favorite groups to play in and I hope you’ll join us. Thursday Apr 16th – 8pm Purchase Tickets Here! 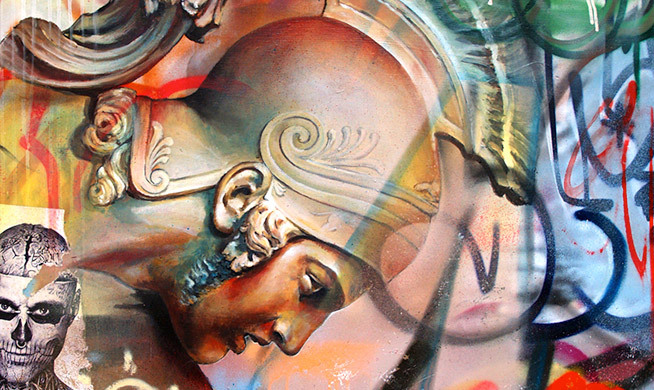 Ancient poetry meets classical voice and jazz instrumentation in an evening of musical drama composed by Jeremy Walker and Anthony Cox. In this world premiere performance of “The Rage of Achilles,” the voices of Twin Cities performers—Minnesota Public Radio’s Tesfa Wondemagegnehu and husband-and-wife opera singers, Seth and Angela Keeton—blend with jazz piano, bass, cello, saxophone and percussion, resulting in a tumultuous and innovative take on epic literature. Curated by composer and local jazz impresario Jeremy Walker, the four-concert series pairs jazz masters with the local Atrium Jazz Ensemble, all performing new music for audiences in the intimate setting of the Orchestra’s Target Atrium. Please note: all seating is general admission. This concert will be approximately 70 minutes in length without intermission. An alum of Weather Report and the bands of McCoy Tyner, Joe Henderson, Freddie Hubbard, Blue Mitchell and others, Eric Kamau Gravatt essentially has had two careers in jazz with a couple decades of separation. Like John Coltrane and long-time associate McCoy Tyner, he is a native of Philadelphia. 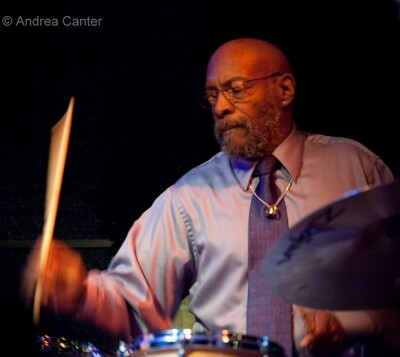 Originally a conga player, Gravatt taught percussion and music in Philadelphia and Washington, DC in the 1960s. Miles Davis invited him to join his band, but Gravatt turned down the Prince of Darkness to follow Wayne Shorter into Weather Report, with whom he toured and recorded. But Gravatt’s sound was not exactly what WR founder Joe Zawinul had in mind, and after a while Gravatt was replaced in favor of a more “bottom heavy” drummer. He moved on to the fusion band Natural Life (with Bobby Peterson and Bob Rockwell), a move that brought him to the Twin Cities some 30 years ago. Demands of family and a desire for financial stability took Gravatt out of fulltime music and into fulltime work as a guard at the Minnesota Correctional Facility in Lino Lakes. “I had kids, and Corrections were the only thing being offered that paid that good, and they had (benefits) you couldn’t get in jazz,” Gravatt told the St. Paul Pioneer Press. Only after retiring from Lino Lakes did Gravatt return to his calling, touring again with McCoy Tyner for about ten years, performing with his band, Source Code, and recently engaging in some more experimental improvisations with Adam Linz and Brandon Wozniak, and in duo with Dean Magraw that yielded a new recording, Fire on the Nile. 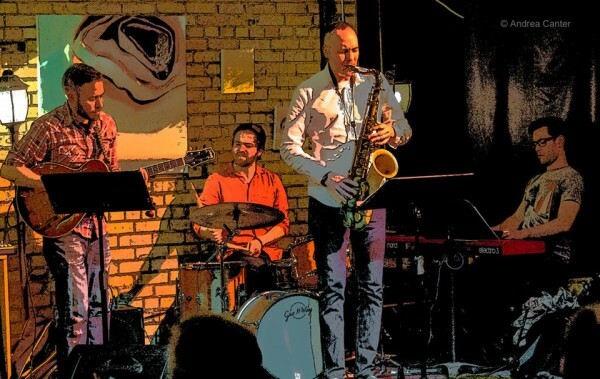 The BRIDGE Series provides a forum for audiences to connect and interact with top-notch Twin Cities artist-presenters who perform live at Jazz Central Studios each Friday. You can hear and engage with these cutting-edge jazz artists as they bring their improvisational passion and unique compositional approaches to Jazz Central Studios. The Bridge Series performances start at 7:30 pm. In order to provide you access to these excellent performances, we ask for a (strongly) suggested donation of $10 per person. A different cast of exemplary musicians will assemble each week to further the reach of jazz presentation in the Twin Cities jazz community. Steve Kenny’s Saturday Night Jazz at the Blackdog presents DD7. The Charles Lincoln group will open and thanks for supporting this series. Also, if you spend $40 at www.shiftingparadigmrecords.com between now and the show, you get in free!!! Doors open at 2:30p on Saturday. Music starts at 3p. Tickets are $15. There will be food and drink available. Hope you can make it!!! 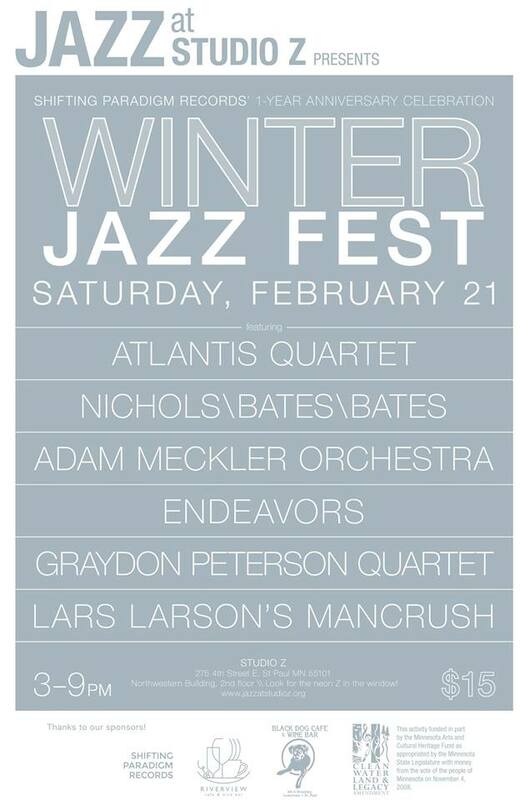 I’ll be performing with Atlantis Quartet and Mancrush.